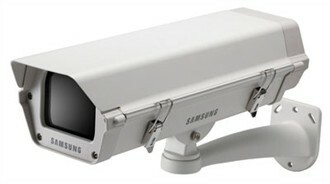 The Samsung SHB-4200 is an enclosure to provide protection to the camera at all times. It is an indoor and outdoor enclosure that is made from aluminum for longer lasting life, it also features an operating temperature of -10 to 50 degrees Celsius, and a humidity level of -20% to 49% RH. The SHB-4200 is light weight and easy to install for most indoor or outdoor areas. The Samsung SHB-4200 has many exciting features for users of all types. You can extend the lifetime of your Samsung SHB-4200 with the purchase of a FactoryOutletStore Factory Protection Plan. The Samsung SHB-4200 is sold as a Brand New Unopened Item.